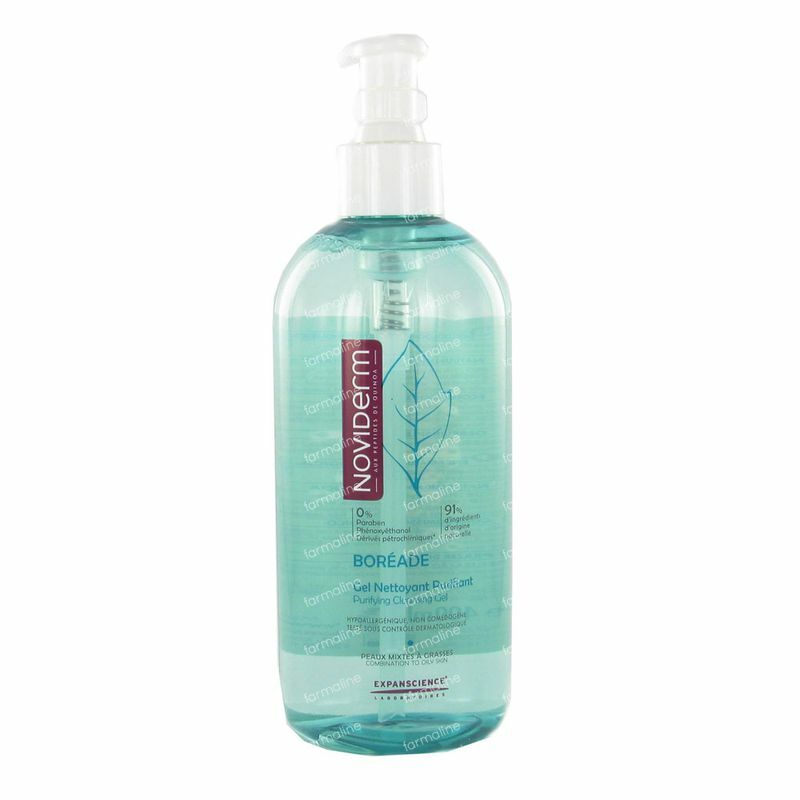 Noviderm Boreade Purifying Cleansing Gel 400 ml order online. -Gently cleans thanks to a combination of gentle surfactants: coco-glucoside, cocamidopropyl betaine and sodium myreth sulphate. -Reduces shine thanks to 5 α avocuta. -Helps prevent the appearance of blemishes thanks to its complex of matifying (5 Avocuta α), astringent (zinc gluconate) and purifying (capryloyl glycine) active ingredients and a combination of AHAs and Beta HA known for their keratolytic properties. Perfectly cleansed, your skin is gently purified without irritation. Excess sebum is limited. Purifies, cleanses and removes impurities and excess sebum from the skin. Apply morning and evening to your wet face and / or body and gently lather. Rinse thoroughly and dry. On contact with your skin, Boréade Purifying Cleansing Gel turns into a delicate foam with a fresh and green fragrance. Very easy to rinse, it leaves your skin clear, soft and comfortable for the entire day. Its convenient pump-dispenser delivers just the right amount to thoroughly clean your face and body without harshness.